Note: To play this game your SHIELD TV must be updated to the latest version of Android, which is Android 7.0 or “Android Nougat”. If you own the original SHIELD TV (2015) you can upgrade to the latest version of Android by installing the current SHIELD Experience 5.0.2 update. If you picked up the new SHIELD TV this update is already installed and no further action is required. 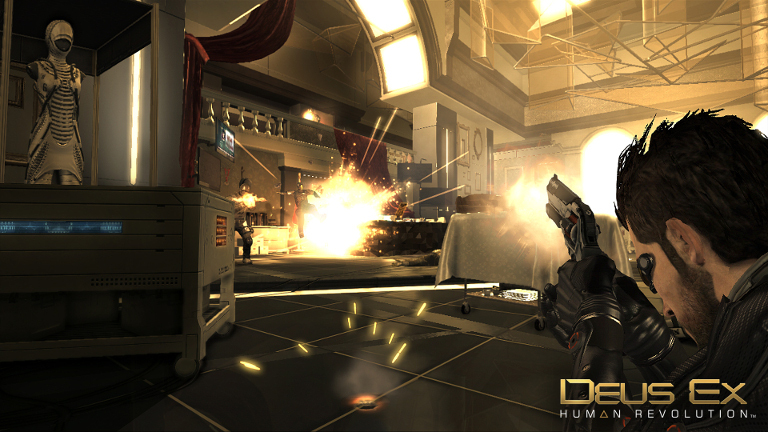 The level of freedom presented in the original Deus Ex was unparalleled in an action game at the time and proved to be a huge hit. Human Revolution continues this tradition, letting you not only take on missions as you see fit - direct combat a la Rambo, stealthily like a ninja or a mix of the two. And the game also lets you choose what path to take to your objective. There always multiple ways to get to, around, over or through a given obstacle. Add plenty of lethal weaponry to wield, along with a plethora of gadgetry and a slick visual style and you’ve got a compelling experience. The addition of role-playing elements and a strong narrative push Human Revolution over the top. You play the role of former SWAT-team member Adam Jenson, who’s now in the private sector and has been selected to oversee the security needs of one of America’s largest, and most controversial, biotechnology firms. 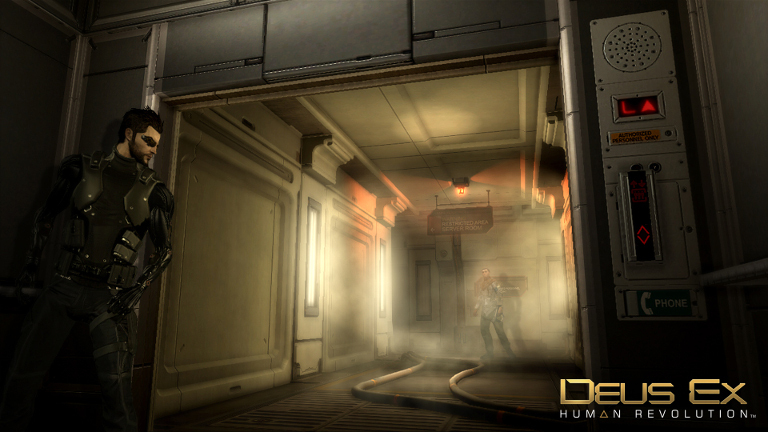 You are badly wounded during an attack on the facility, and must accept some of your employer’s most experimental implants to survive. So suddenly you find yourself with a pair of “bionic” arms that can be augmented with different biotech to enable you perform a variety of different things. Your robot fists are quite effective in melee situations, for example, and your bionic biceps convey super-human strength. This puts you squarely in the middle of the biggest debate facing humanity: whether or not human use of biotechnology should be allowed. Society is divided into factions of people that have implants, people that want them but can’t afford them and people that abhor them. And, someone out there is trying to use biotechnology to alter the course of human evolution, an investigation of which starts you off on adventure filled with discovery and which presents hard questions that you will have to answer - such as how much augmentation is too much? Who attacked your employer and why? Are they really the enemy? 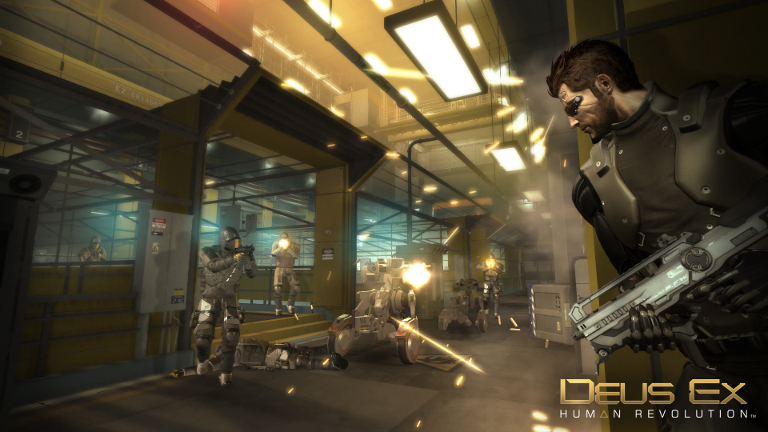 The gameplay consists of a series of missions presented in linear fashion that you can accomplish however you would like. And most missions have direct routes that will get you to your goal quickly, but you’ll miss out on all sorts of potentially useful information, and new toys, if you don’t take the time to explore the game’s nooks and crannies. As you play, you’ll unlock an assortment of character augmentations and weapon upgrades you can select to best reinforce your favorite style of play. You can bolster weapons that will enable you to kill more easily from the shadows, or invest in stealth skills to avoid combat altogether. You can focus on hacking talents to bypass security measures, and even work on your social skills. Conversations with in-game characters matter, you see, and you can pick up info from seemingly random individuals that can either greatly ease your path, or make the going that much tougher if you bungle the dialog. It’ll be up to you to decide if you continue to accept augmentations and risk losing your grip on your own humanity. 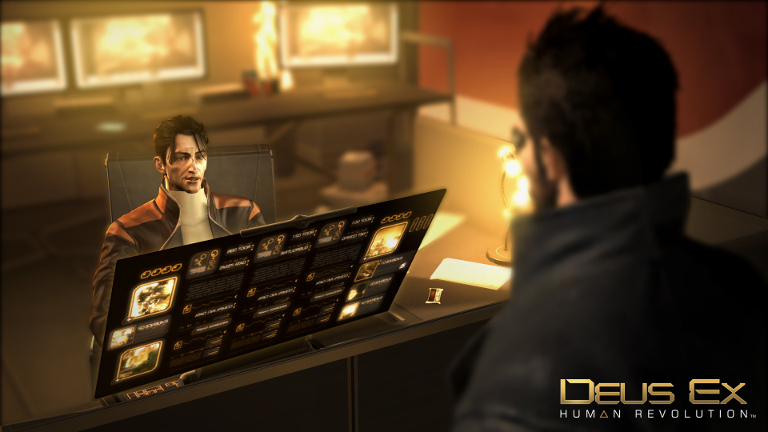 In Deus Ex: Human Revolution the choices you make are indeed your own, and they combine to make your play through of the game feel very personal by the end. To play open the NVIDIA Games app (available on your home screen) and launch the game from the New on GeForce NOW category. 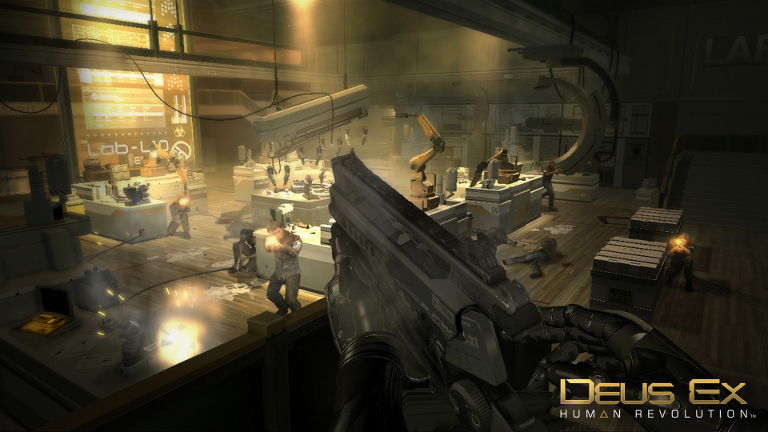 Human Revolution has been added to the GeForce NOW membership library and is free for current members to enjoy. The game is rated M for Mature by the Entertainment Software Rating Board, and is recommended for players over the age of 17. Diluvion - Play it on SHIELD with GeForce NOW! Just Cause 2 - Play it on SHIELD with GeForce NOW!